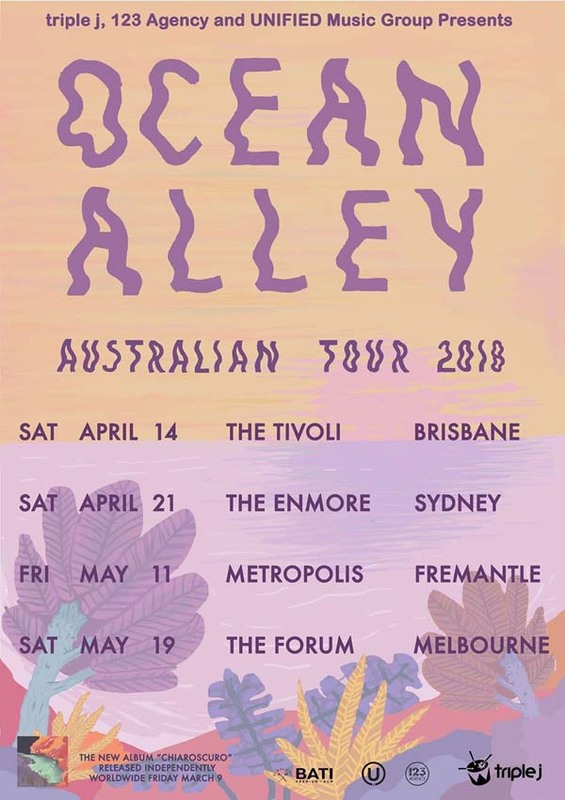 Sydney groove purveyors Ocean Alley are thrilled to today announce a national album tour in April and May, in support of their forthcoming second full-length Chiaroscuro, out independently on Fri 9th March. Revealed by triple j this afternoon, the tour follows fresh from the release of their undeniably catchy, funk-infused new single Confidence, which was premiered on Sunday night by Richard Kingsmill. Oozing with cool and a pulsating bass line, Confidence is the third single from Ocean Alley’s upcoming second LP Chiaroscuro. The title, traditionally related to the artistic contrast of light and dark tones, captures the underlying theme heard across the 12 album tracks - in both subject and sound they explore the power of duality, taking on alternate interpretations including right and wrong, control and surrender. From the hazy, hopeful tones on the paradoxical Happy Sad, to the wistful yet commanding howls on Knees, and warm, rich rolling guitars on lead single The Comedown which was voted at #48 in triple j’s Hottest 100 of 2017, each song is drenched in equal parts distortion and dreaminess, pairing blissfully scuzzy riffs with intoxicating echoing vocals, to create the ultimate fusion of psychedelic reggae and laid-back surf rock. 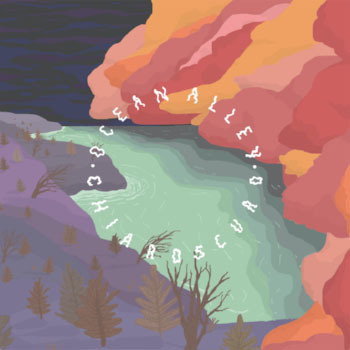 To celebrate the release of Chiaroscuro, Ocean Alley will launch the album with a 10-date national tour throughout April and May, unleashing the electric energy and commanding live performance they have become revered for. Off the back of a huge run of sold out performances in 2017 including back-to-back nights at The Metro Theatre in Sydney, the band returns for their largest headline shows to date, making their way from Brisbane to Sydney, Fremantle, and finally Melbourne, plus all stops on the Groovin The Moo festival run in-between. Hailing from Sydney’s Northern Beaches, six-piece Ocean Alley have captivated audiences around the country with their infectious melody lines and memorable blend of psychedelic-surf-rock, to solidify their position as one of Australia’s most exciting rising bands. With their acclaimed debut album Lost Tropics (2016) and two EPs under their belt, the band have sold out headline shows across Australia, New Zealand, Germany, Netherlands and The UK, shared the stage with artists including Tash Sultana, The Cat Empire, and Xavier Rudd, plus performed at festivals locally and abroad including Falls Festival, Rhythm & Alps (NZ), Groovin The Moo and more. Tickets are on sale now from Ocean Alley and GTM.